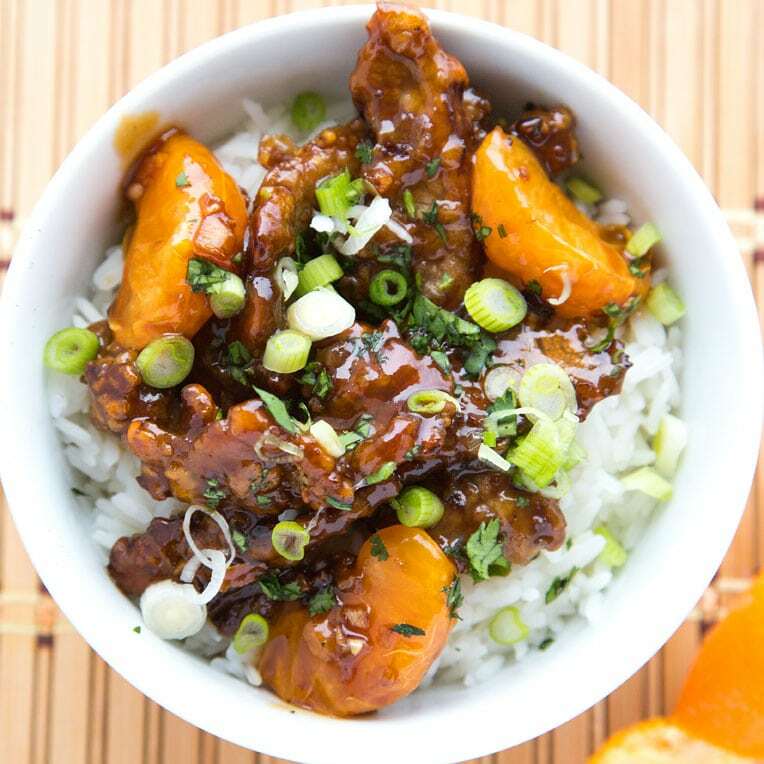 Home » Recipes » Asian » My Tangerine Beef Recipe- It’s what’s for dinner! 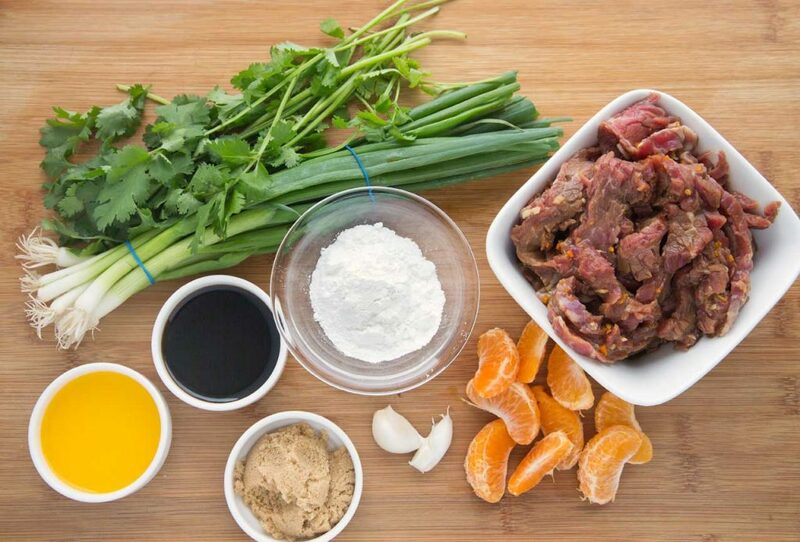 When you're craving a taste of the orient try my Tangerine Beef. 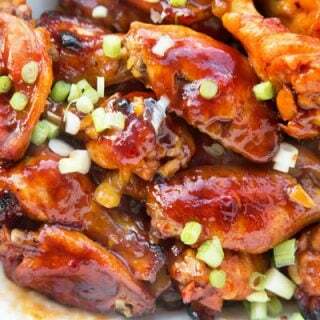 You'll love my better than takeout and easy to make recipe! 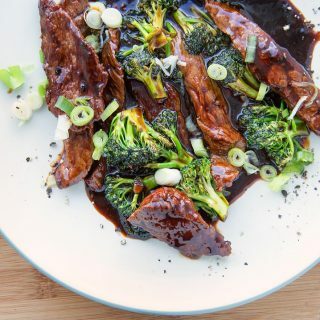 Tangerine Beef is a great way to spice up your weeknight dinners and can be made at home faster than going out for take-out! Asian style cooking comes down to understanding a few basic techniques and having the right ingredients on hand. It’s not difficult and although a wok will help make your culinary adventure for fun, it isn’t necessary. 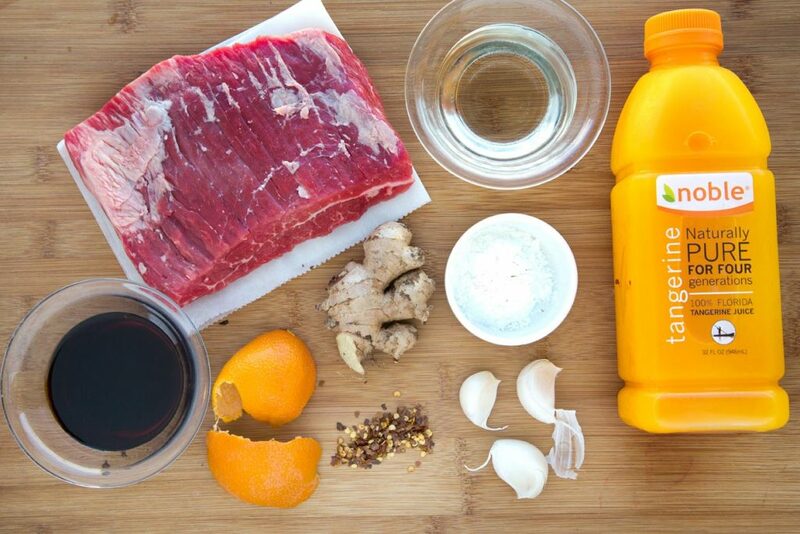 Let’s gather our ingredients (aka mise en place) to make our Tangerine Beef. The marinade is really easy to make and the only thing you need to remember about cutting the flank steak (as with any beef) is to go against the grain. Once the marinade is ready and the beef sliced, place it into a zip-lock bag. Mix it thoroughly in the bag, then remove the air, seal the bag and place it in the refrigerator for at least 2 hours up to 6 hours. *Remember to place the bag zipper up and on a plate in case it leaks. After the beef has marinated we can gather the rest of our ingredients for this delicious dish! Dredging the beef in corn starch, gives it a crunch appearance. While the beef is draining, start your sauce. Living in the Orlando area I could go out to eat every day of my life and never try all of the restaurants in the area. And while that might fun to do, it can also be very expensive. The other problem with eating out is losing control over ingredients that are used in your meal. Cooking at home can be fun, save you money and gives you control over the ingredients you use. 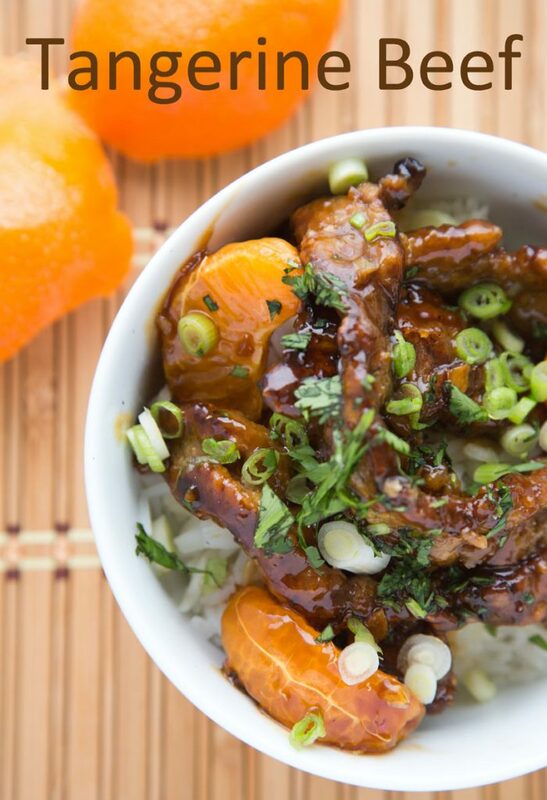 My Tangerine Beef was a great way to incorporate the taste Florida into the Asian Style dish. Of course, if your grocery store doesn’t carry Tangerine Juice, you can substitute orange juice. 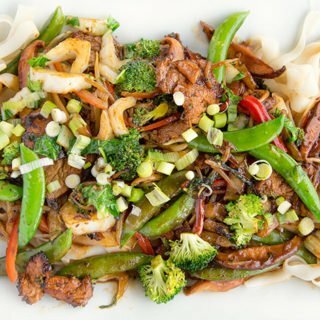 Serve this delicious beef with jasmine rice or your favorite Asian Noodle and be prepared for rave reviews! 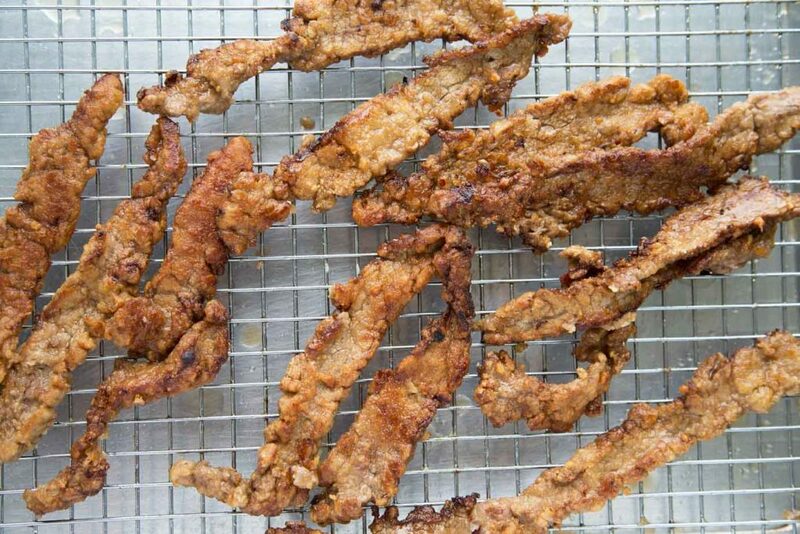 Thinly slice meat across the grain into 1/4-inch-thick slices. Place beef in a large resealable plastic bag set in a shallow dish. 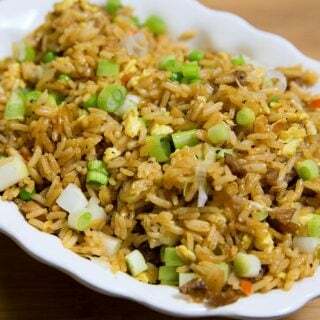 Combine soy sauce, rice wine, tangerine juice, 1/2 of the tangerine zest, sesame oil, cornstarch, garlic and crushed red pepper in a small bowl and whisk to mix. 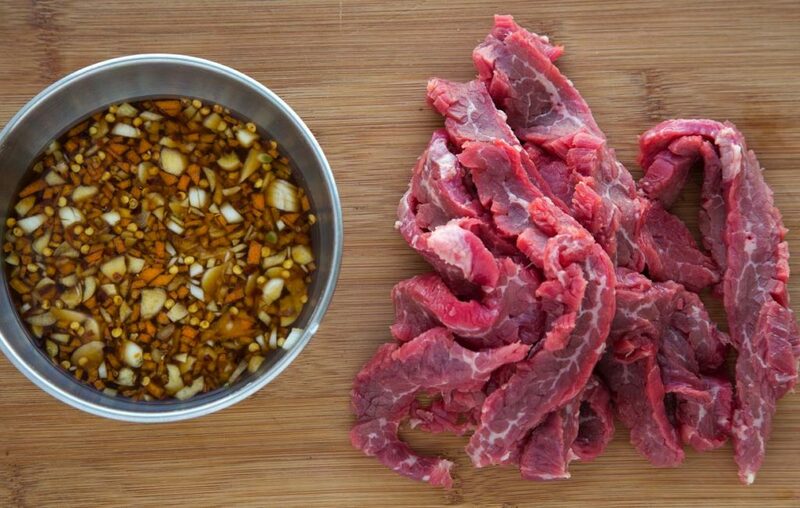 Remove beef from marinade, discarding the marinade. Heat oil in a clean wok or saute pan over high heat. Just before the oil starts to smoke, spread the flank steak pieces evenly in the wok, and let sear for 1 minute. Flip the steak over and let the other side sear for another 30 seconds, then transfer to a sheet pan, tilting it slightly to let the oil drain. The beef should have a crusty coating. Drain most of the oil from the pan. leaving about 1 tablespoon in the pan. Add ginger and garlic to pan stir frying for about 15 seconds. Add the soy sauce, tangerine juice, water and brown sugar. Bring the sauce to a simmer, stirring occasionally. Toss everything for another 30 seconds until all of the beef is well-coated. There should be almost no liquid, as the sauce should be clinging to the beef. If the sauce is too thick, add a little bit of hot water to thin it out. 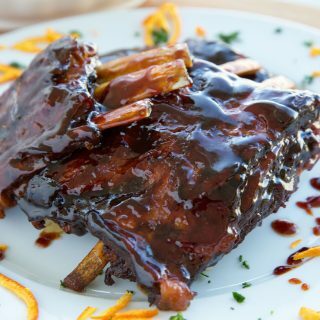 **There should be almost no liquid, as the sauce should be clinging to the beef. If you have too much sauce, increase the heat slightly and continue cooking until thickened. If the sauce is too thick, add a little bit of hot water to thin it out. Chef Dennis, this looks AMAZING! I can’t wait to try it! Thanks Allie, It turned out better than expected! Wow, this tangerine beef sounds yummy. I love cooking and baking citrus. Thank for stopping by Dawn, I do love my tangerines! This recipe sounds absolutely incredible, I can’t wait to try it out! Great way to beat dinner monotony! It certainly does spice things up a bit! Thanks so much for stopping by Dawn! My pleasure 😉 Always love to see what you have cooking! A lovely recipe. Thank you Chef Dennis. Thanks Liz, it truly was delicious! That looks just wonderful! 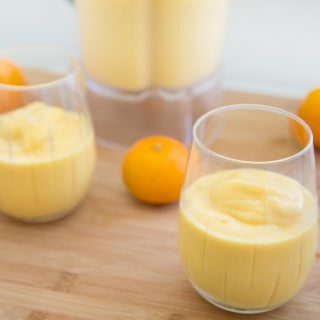 I love the idea of tangerine juice to add flavor here.